Already existing reports can be viewed by clicking View, or edited by clicking the gear icon to the right of each report. Click the x icon to delete the report. When viewing a user generated report, administrators can directly access the editing page for each report by clicking the Edit this report button at the top of the report. For some clients with highly customized themes, the edit this report button may be hidden. 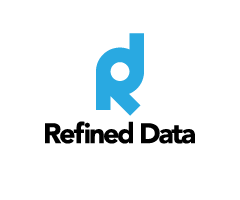 Please contact support@refineddata.comfor assistance. Seven editable tabs are available accessed via the gear icon or from the ‘edit this report’ button. These tabs are the same for user generated and embedded reports with the exception of the access tab, which does not appear for embedded reports. The report can be hidden by checking the Hide in My Reports checkbox. Hiding a report ensures the report or the report link does not appear on the ‘my reports’ page or the ‘my reports’ block for any logged-in users. Users who have permission to access the report can still access a hidden report using the report URL. The ability to define how many records display on each report page is defined as Number of records per page. The maximum number of records displayed per page is 9,999. The more records set to display, the longer the report takes to compile. We recommend setting display records at 40 per page. Click save changes to save any changes made in the general tab. Columns - provide choices to determine which columns appear in the report and how the columns are labeled. The columns available for each report are determined by the data source for that report. Each report source has default columns set up. Each column can be hidden, deleted, or prioritized. Sorting options allow for creating a default column and order structure based on alphabetical organization. The aggregation or grouping options provide ways to display the data as a collection or grouping. Depending on the data source and columns selected, different aggregations or grouping options will be available in the drop down menu. Average - will group the data by the sum of data divided by the number of data available. To add a new column, choose from the Add another column drop down menu. New columns are added to the end of the list. Only one column of each kind can be created within a single report. The Customise heading text boxes allow for the columns to be renamed as appropriate and appear on the report. The Administrator will always be able to view the original column heading, and it’s associated customized heading. Check the checkbox to the left of the the customize heading text box to enter new column heading test. Click save changes to save any changes made in the columns tab. RT TIP - For clients with custom user profile fields, the short name of the custom field must not contain any capital letters or special characters because the report will not recognize the data and will report the column as ‘unknown’. Graph - provides the different presentation options for graphing the data, the graph orientation, the data category and source, and the ability to set the maximum number of records used in the presentation. 1). Data series in columns uses the report columns as the data series. In most cases this is the option to use. 2). Data series in rows treats every item in the column as separate data series so that the rows are treated as data points. Typically only select this option if you have more columns in the report that there are rows. The category defines the data in the x axis and the data sources defines the data in the y axis. The data set selected in the category or data sources cannot be the same. Stacked graphs compare parts of the data to the whole. The bars in a stacked graph are divided into categories and each bar represents a total. Stacked graphs are only available with data sources that support stacked graphs. Currently there are no data sources supporting stacked graphs. In some instances, the options that appear in the categories and data sources fields will not populate in a graph. This is because there is so much data that a graph cannot accurately reveal all the information. The maximum number of used records is the number of records used to build the graph and defaults to 500, and can be adjusted entering another numeric value. The custom settings use SVGGraph, which is an object-oriented PHP library for creating graphs. Click here to view the general SVGGraph settings. Click save changes to save any changes made in the graph tab. Filters - provide the user options to define what information is displayed on the report. There are three filter types: Standard, Sidebar, and Toolbar search box. Each report contains a set of default filters based on the data source for that report. A Standard filter is shown at the top of the report, the Toolbar search box appears below the standard filters, and the Sidebar filter appears to the side of the report. To set the filters, select the Filters tab. Default filters will appear per report for Standard and Sidebar filters. If there are no default filters for the report, a message will say so. 1). The drop down menu provides the search field the filter will search when running the report. 2). The checkbox enables the ability to enter a custom field name for the search field. 3). The custom field names allows the search field name to be customized. 4). The advanced checkbox determines if the filter appears in the ‘search by’ box by default. When viewing the report, click ‘show advanced’ to see these filters. 5). The options column lets you organize how the filters appear or delete filters. 6). Select ‘searchable fields’ for the toolbar search box determines which fields will be searched when a user enters text in the toolbar search box. To add a filter, select the Add another filter’ drop down menu, add the filter name and click the add button. Use the x icon to delete a filter and the arrows to reorganize the order the filters appear. When the Advanced option is checked, the filter will not appear in the 'search by' box. Click Show advancedwhen viewing a report to see these filters. Standard filters - determine which filters appear on the report at the top of the page. These filters can be selected from a predetermined set of filters based on the type of data source, customized with a filter name, and hidden or deleted. To customize the field name, check the checkbox to the left of the ‘customize field name’ menu. Sidebar filters - determine which filters appear on the report to the side. These filters can be selected from a predetermined set of filters and customized with a filter name, and can be hidden or deleted. Sidebar filters have instant filtering enabled meaning that each change made to a filter will automatically refresh the report data. Toolbar search box - can be enabled or disabled. When the search box is enabled, a set of fields are searched when a user enters text in the toolbar search box. To determine what fields will be searched when text is entered in the toolbar search box, add the fields by selecting from the dropdown menu. Click save changes to save any changes made in the filters tab. NOTE: If no criteria are set, the report does not display any records. The criteria is variable based on the data source for each report. The screenshots of ‘show by date’ and ‘show by users’ (below) are examples of content based on the report data source. The past - only displays records with a data older than the current date. The future - only displays records with a future date set from the current date. The last 30 days - only displays records between the current date and the 30 days prior. The next 30 days - only displays records between the current time and the next 30 days into the future. Include record if date is missing - includes records with no associated dates. Records for user’s indirect reports - the user can view records belonging to any user who reports any user below them in a management hierarchy (and excluding their direct reports). Click save changes to save any changes made in the content tab. Access - defines which users can view the report. This tab is only available on user generated reports. The restrict Access settings determine who can access the report by role. Either All users can view this report and have the ability to view a report (the report has no restrictions applied), or Only certain users can view this report, which is designated by that user’s role. NOTE: Access restrictions only control who can view the report, not which records the report contains. (The content tab controls the content within a report). To restrict access by role - set the user’s context. Context is the location or level within the system that the user can access and defines the context in which a user has been assigned a role to view the report. (i.e. a site administrator has system level access, while a student has course level access). When Users must have role in the system context is selected, the user must be assigned the role at a system level to view a report. When User may have role in any context is selected, a user can view the report when they have been assigned a selected role anywhere in the system. When restrict access is set to only certain users can view this report, select from the list to specify which roles can view the report. One or multiple roles may be selected. Click save changes to save any changes made in the access tab. Performance - determines how a report is initially displayed. It is recommended to enable restrict initial display (check the checkbox) for large reports where the results will be filtered. This increases the speed of the report as the report only shows the results of the filtered data rather than initially displaying all the data. Disabling this feature (an unmarked checkbox) will display all the data results of the report immediately. Caching performance settings - by default are turned on. When Enable report caching is on, a copy of the report is created on a set schedule with data from the stored report. This makes displaying and filtering of the report faster. Because the report is pulling data from the last cache, the data is not ‘live’. By default, report caching is enabled. The Cache Schedule (Server Time) determines how often a new report is created based on the cron run immediately following the designated time. For example, if a cron is set to run every 20 minutes at 10, 30, and 50 minutes past the hour, the report will be updated at ten minutes past midnight. The Current Server Time shows the current time of the server which is the time reports are being cached on. Make sure to take into account your server time when scheduling cache. Checking Generate Now will generate a report cache after checking the box and clicking save. Click save changes to save any changes made in the performance tab.